This means that Windows can’t start any modern (metro) apps when UAC is turned off. How to Fix This App Can’t be Activated When UAC is Disabled error? Open Control Panel and go to section Control Panel\System and Security\Security and Maintenance -> Change User Account Control settings. Move the slider from the bottom position to one of the top three. 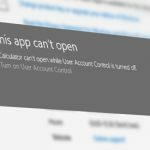 It is more secure to select the default value – Notify me only when apps try to make changes to my computer. The second way to enable UAC is to use Group Policy. Open Local Group Policy Editor console (gpedit.msc) and navigate to the section Computer Configuration -> Windows Settings -> Security Settings -> Local Policies -> Security Options. 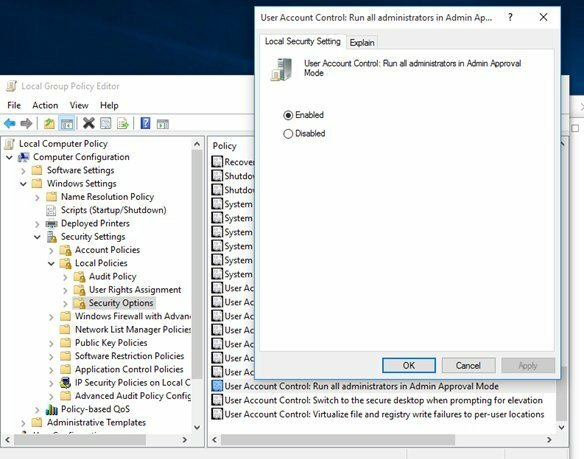 Enable the policy named User Account Control: Run all administrators in Admin Approval Mode. 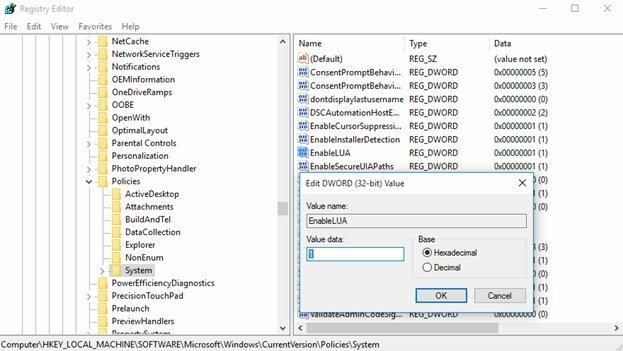 The third way to enable User Account Control in Windows is to edit the registry. Find the registry Dword parameter EnableLUA and change its value to 1 (in case this parameter does not exist, create it manually). Reboot your computer and try to run Modern app as usual. It should start normally! 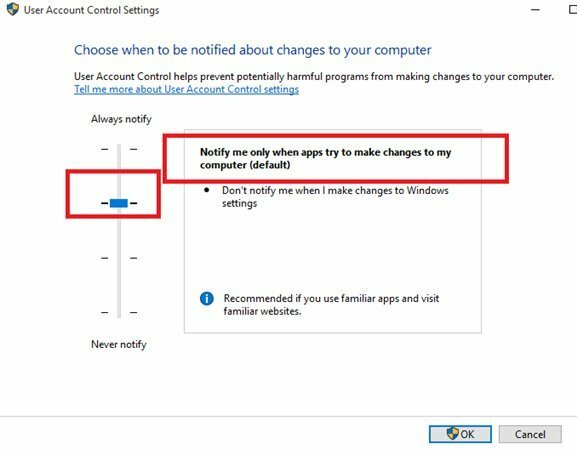 If for some reasons you can’t enable User Account Control, you can switch to your Microsoft Account and run metro apps even when the UAC is disabled.